Now out of form for the best part of two years, Fernando Torres has looked like a man completely devoid of confidence since his £50M switch to Chelsea last January. With just three Premier League goals in this time period, and five in all competitions, the Spanish striker is nowadays a far cry from the player who smashed 24 league goals in his maiden English season for Liverpool. Bearing this in mind, Chelsea now look set to cut their losses on the striker, and are willing to listen to offers of around £20million, less than half of what they paid less than a year ago. One of the world’s hottest striking properties in recent times, there should be no shortage of potential suitors for a man who will surely rediscover the natural goal scoring ability that made him so revered throughout Europe in his time at Liverpool. AC Milan look to head the list of interested club, as the Italians are desperate to strengthen their attacking options and inject a fresh vibrancy into their side going forwards. A potential swap deal involving Robinho has been touted, though whether or not the tricky Brazilian could be persuaded to return to England after an indifferent spell with Manchester City remains to be seen. In addition, it is though that Chelsea would prefer Robinho’s younger compatriot Alexandre Pato to be included in the deal instead. Having fallen dramatically down the Stamford Bridge pecking order, it is difficult to see Torres claiming his place back any time soon, with Didier Drogba and Daniel Sturridge performing well. 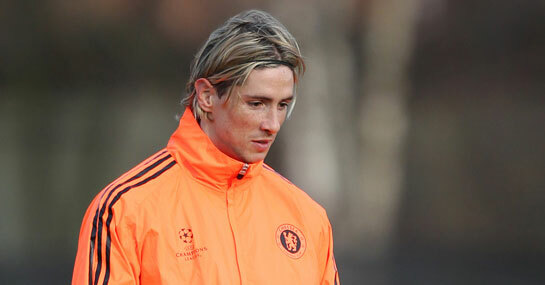 Even though Drogba will soon be away on international duty for the African Cup of Nations along with team-mate Salomon Kalou, Andre Villas-Boas would preferably bring in some new striking talent than persevere with Torres. He was an unused substitute against Man City in midweek, and his subdued reaction to Frank Lampard’s winner seemed to indicate that his time at Stamford Bridge is drawing to a close.